The news is riddled with heads of state whose power has gone to their heads. What with al-Assad’s helicopters dropping five barrel bombs on Aleppo for every rebel shell, Putin invading Ukraine, Erdogan trying to ban Twitter in Turkey, and the Egyptian ruling militiamen’s judge passing death sentences on 529 people simultaneously, we aren’t lacking candidates for the title of ‘most ruthless tyrant’ in the 21st century. Time for a fast exit—I’m off to China, to lecture at Zhejiang University. I may not be able to post a blog next weekend. 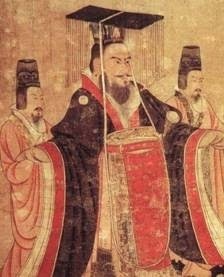 But a preparatory peep into Chinese antiquity has revealed that today, 29 March, is the 2,100th anniversary of the death of one of the greatest emperors in world history, Wu of Han. He was born in 156 BC, at about the time when Macedonian strongmen were beginning to give way to Roman imperialism. 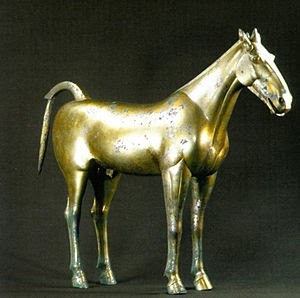 But Wu makes men like Alexander the Great (let alone Julius Caesar) look a bit of a patsy. 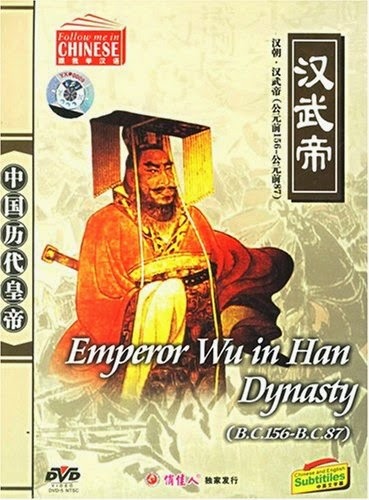 ‘Wu’ means ‘warlike’. 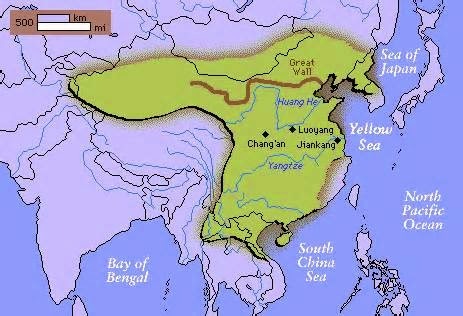 He was a military genius whose cavalry vastly expanded the borders of China by ‘annexing’ parts of what are now Vietnam, Korea and Kyrgyzstan. 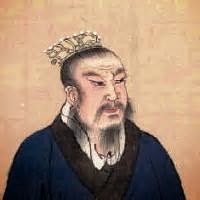 He announced that Confucianism was the state religion and killed tens of thousands. On the plus side he opened an Imperial Music School. True to the form of anyone allowed to retain power for more than five or six years, he developed weirdness and paranoia. "My hat's bigger than yours"
He also reigned for no fewer than 54 years, a length of time unparalleled by any Roman Emperor. So he could be very strange for a very long time. He surrounded himself with magicians and asked them to come up with a pill which would make him immortal. When they disappointed him, he had them executed. He accused his 'barren' wife of witchcraft and had her lady attendants burned to death. 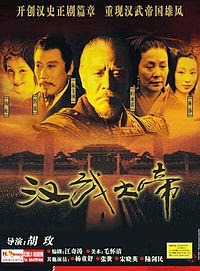 Wu went on expensive imperial tours with a vast entourage and emptied the national treasury. He 'suppressed' several peasant revolts. He had psychotic delusions in which little puppet-figures beat him with sticks; they convinced him that everyone wanted to assassinate him. He drove both his empress and his oldest son to suicide (this is more Tyrants of Thebes in Tragedy than Alexander or Caesar). So how have I got into my sixth decade without being told that my rather suspect fascination with crazy dictators, at least with dead ones safely confined to history books, could be far better fed by the Han dynasty than anything the Mediterranean has to offer? Overjoyed at discovering Wu, and attempting to avoid TV exposure to the megalomaniacs taking over the contemporary world, I tried to order these two items from various online outlets. The first costs £180 and the other is ‘temporarily unavailable’. Can any of you out there lend me a copy of either to watch before next Friday? Please?